Thank you for your assurance of cooperation with regard to this serious and complicated matter. I trust that we will all work toward a satisfactory result in good faith. I still am looking for a basic verification that the property corners for the areas in question have been adequately identified. You state that since 2005 there has been no question as to the fact that the drainage structure resides on my client's property. I am not so quick to come to these types of conclusions without the information necessary to back it up. I simply have asked if a survey had been completed and field markers installed so that the circumstances can be readily identified both of record and in the field. 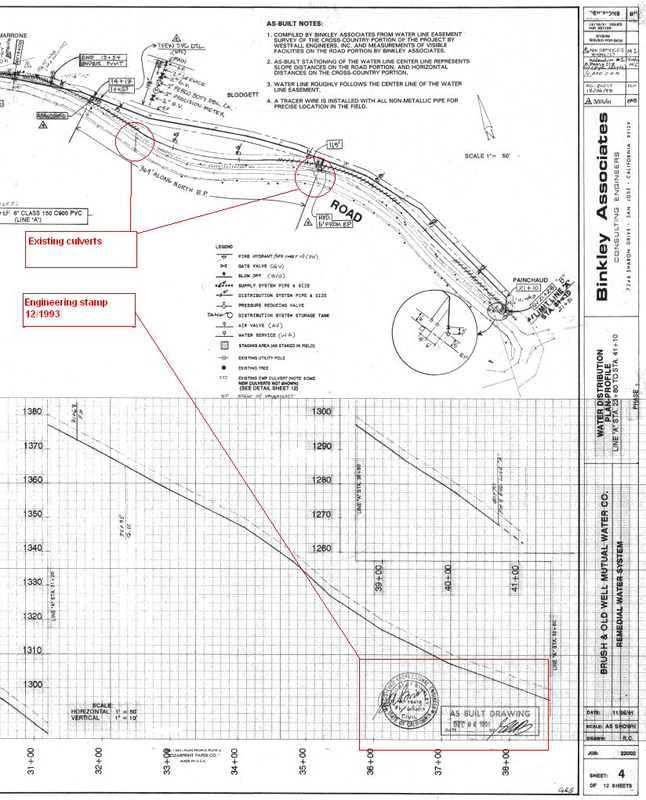 I have reviewed a proposed easement document forwarded to my client that was prepared by a civil engineer. Did he provide field markers of the points he described in a manner that can be reviewed in the field? What benchmarks did he use in establishing his legal description? I also would like verification that the drainage structure was installed at the same time as the road improvements for this section of Brush Road. Has the State acknowledged that all of these drainage improvements were constructed as part of their Highway 17 improvements or has that been assumed from the circumstances? 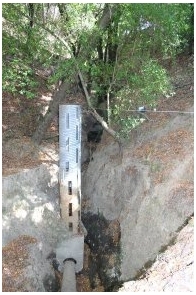 What maintenance has been done to the drainage structure since its installation? Has the State acknowledged any maintenance to these structures during their "friendly neighbor" duration? I note that the Ridge Road owners have been singled out for direct participation. I presume that they are not members of the Brush Road Corporation. It would seem that they would need to become members if the road segment in question becomes the obligation of the Corporation since without a right to use this section they will be landlocked. I believe that, in the interim, my client will need an acknowledgement from the Corporation and the Ridge Road owners that any use of the segment of Brush Road previously believed to have been on State property, but now believed to be on my client's property, is with the permission of my client, and not pursuant to any prescriptive rights. Lastly, I once again ask if any inquiries have been made as to alternative solutions to the drainage issues which do not include maintenance of the current situation? For example, has anyone inquired about installation of larger culverts under the road segment, bridge possibilities in the affected area, or retention facilities on the downhill side of the road segment where the most problematic erosion has occurred? Are we simply proceeding under the assumption that the current situation is the best solution to the problem?